Associated Bank’s Elizabeth Strike (left), Clarice Ollins (third from left) and Ranya Baldwin hosted skill-building workshops for Milwaukee-area youth as part of Cristo Rey’s Corporate Work Study Program. 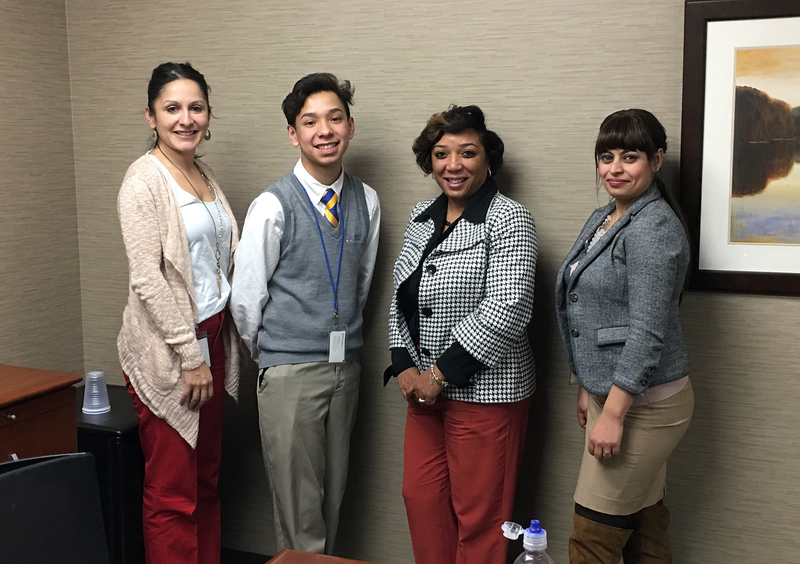 In partnership with Cristo Rey Jesuit High School’s Corporate Work Study Program, Associated Bank has been employing four students in Milwaukee and Chicago for the past two years to provide valuable work experience and skill-building opportunities. The work-study program provides a comprehensive affordable education to students from families with limited financial means. All students work five full days per month at companies throughout their city. Through the program, students gain confidence, connect the relevance of their academic coursework to future employment, acquire skills that will benefit their career and receive unprecedented access to the professional world. Their earned wages are applied to tuition costs. To further enhance their experience, Associated Bank’s Cultural Awareness Network (CAN) of Milwaukee, a colleague resource group, recently held two skill-building workshops for the students working in Milwaukee to help them advance their careers and build meaningful connections outside of their assigned work areas. Associated Bank plans to continue its partnership with Cristo Rey into the 2017-18 school year.